It’s 2017 and the Hip Hop rapture seems to be underway! Calling on some lethal injections of the genre’s most-talented era has returned – seems to be this year’s jubilee. In the fall of 2016, A Tribe Called Quest released their chart-topping classic, We Got It From Here. Wu-Tang Clan swordsman, Raekwon the Chef has given us quite a gem in his new album –The Wild. Now Hip hop’s 2017’s breath of fresh air has given us an even earlier holiday season with a new KRS-One album! 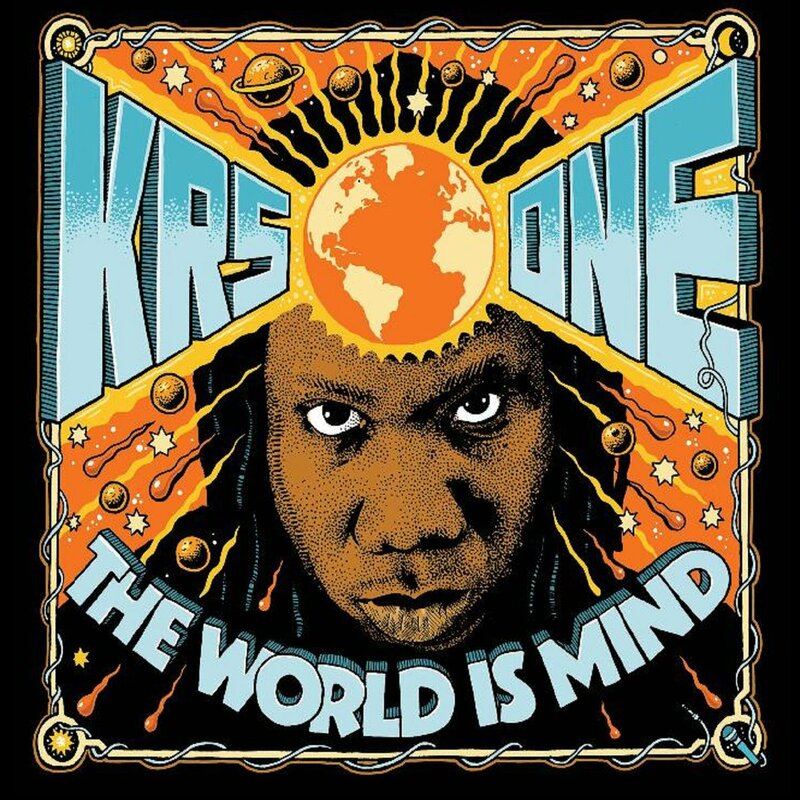 The World Is MIND is KRS-One’s masterpiece in being. Track by track of relentless hits with the replay law in full effect, the prophet of the rap world’s 13th album is the lucky number of the “we are still here” psychology and it’s all good! Rappers are fortunate if their star shines for more than five years. Legends struggle to live out twenty years. KRS-One has been blessed with a “still relevant” status after being in the business for over thirty years! His longevity is a reflection of the hardest working emcee gospel. Still in the game and he is highly-respected by the activists, humanitarians, politicians, and gangsters alike. The native sun of the Bronx is a household name and seen as an elder in Hip Hop, much like Public Enemy’s Chuck D.
The World is MIND was recorded in Liverpool UK. The production, mostly by Mlody, fits KRS-One flow like a glove, giving this album a particularly warm feel. Tracks like My Dreams and You Like Me clearly demonstrate how KRS has transformed the Bronx sound of the boom bap into a dimension that fans of World Music can enjoy. This is KRS-One’s masterpiece! This album is today! This album is Hip Hop! Whether you like KRS-One or not, you deserve this album after a forty-hour work week! Get this album! Warlock Asylum’s rating? Five out of Five stars, and make sure you add an additional in support of Hip Hop veterans!